It is almost time for the IDTechEx show in Berlin! On the 10th and 11th of April, you can find Thomas Soini and Fedor Goumans at stand F14. They are looking forward to meeting you and discussing any research challenges you may have. Learn all about our upcoming 2019 release, with many promising new functionalities. 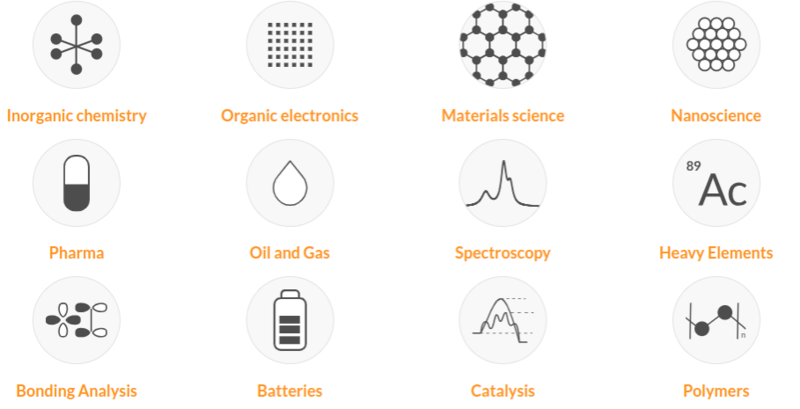 Lately, we spent a lot of time on the improvement of the software for Organic Electronics and Batteries and Photovoltaics, but our software is also compatible for many other research fields (see picture below). Fedor and Thomas may be able to help you take the next step in your research. So, come and meet Fedor and Thomas at the IDTechEx show and discover all the opportunities that SCM can offer you.